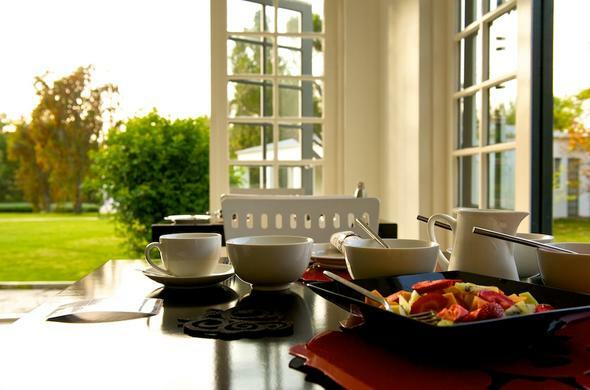 For a luxury guest house in Swellendam, look no further, indulge in the magic of Bloomestate Luxury Retreat. Bloomestate Luxury Retreat is a guesthouse on a 6.5 acre estate at the foot of the Overberg mountains in Swellendam, Western Cape. Swellendam is a charming town, ripe with youngberries, architecture and history. Swellendam is situated half way between Cape Town and George off the N2. At Bloomestate Luxury Retreat you will be able to enjoy all that Swellendam and surrounding areas have to offer, as well as indulge and relax at the guesthouse itself. With only 7 rooms, a swimming pool, privacy, landscaped gardens, conference and intimate wedding facilities, you will never want to leave.